You are about to leave the All Construction website and enter a third-party site. All Construction Services and Installed Building Products have no control over, and accept no liability, obligation, or responsibility for the contents or performance of other websites. Any such link does not constitute an endorsement or any representation regarding the linked website, its content, its owner, its performance, its owners’ products or services, or any forward-looking statements found there. 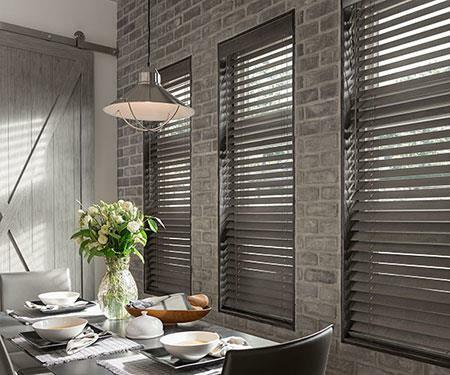 All Construction Services is proud to carry Graber Window Blinds. Their extensive collection of premium custom window treatments can easily transform the blank canvas of your uncovered windows into awe-inspiring works of art. Choose from a variety of quality custom-made window coverings that range from soft fabric Cellular shades to beautifully crafted Wood blinds.